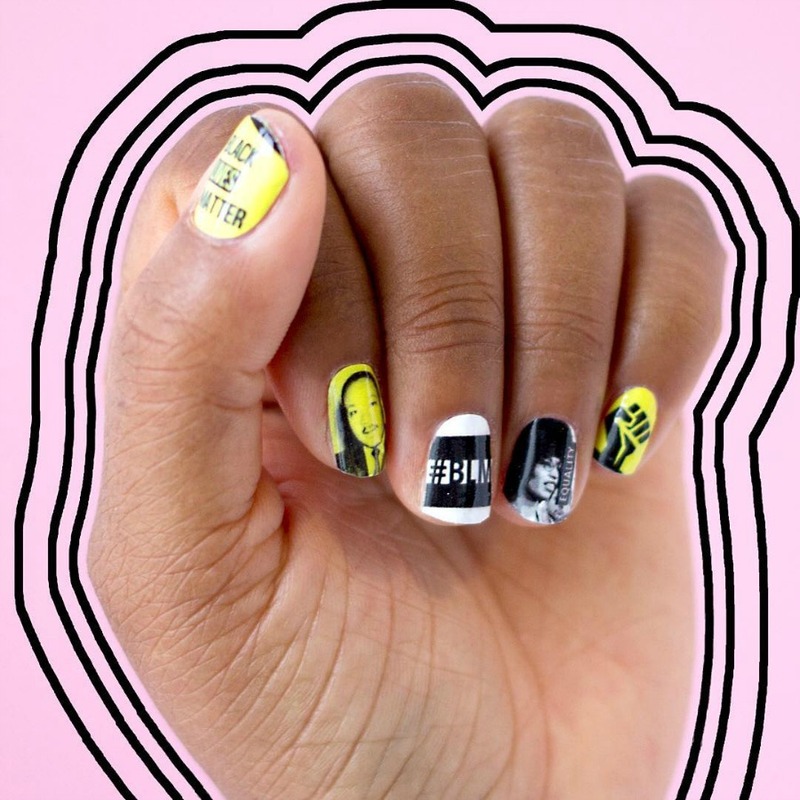 Obviously, we won’t sit here and act like rockin’ a manicure that says #BlackLivesMatter is enough to make significant change on its own — BUT, it can make a statement. A very clear one. Use it as a starting point to connect with others on the right side of history, and together, mobilize yourselves toward real action. Check the wokeness of a few of our faves from NailSnaps below — 100% of the profits for each of these are donated to the ACLU.